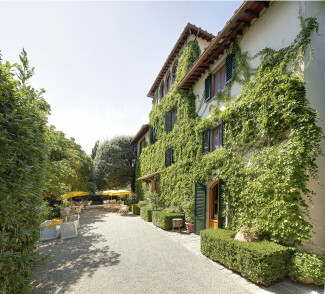 A stunning Tuscan break oozing romance and intimacy with gourmet cuisine and rolling gardens. 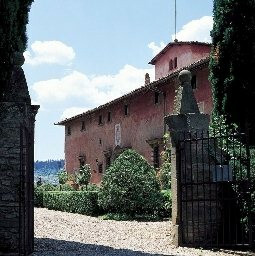 Between the Chianti cooking school and the restaurant, food lovers will be in Tuscan heaven. Children of all ages welcome, babysitting services available on request. Non residential and residential cooking courses. Bicycles are avaliable for guests to explore the rolling Tuscan countryside. Exploring the vineyards on foot is a romantic sunset scene. Can be arranged through local stables. "The romantic location, luxe-for-less price tag, lovely pool, hip rustic design and excellent restaurant make this a destination hotel, especially for couples. " 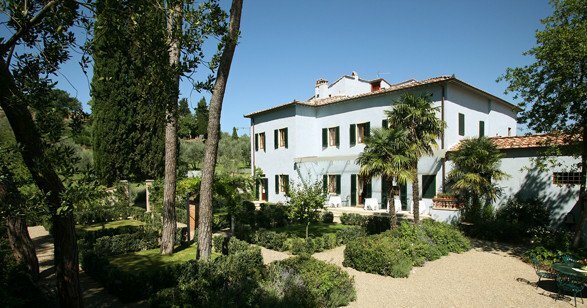 "The swimming pool is in a lovely spot among the olive groves; and above, in a little pavilion, is what must be the most scenic fitness area in Tuscany."